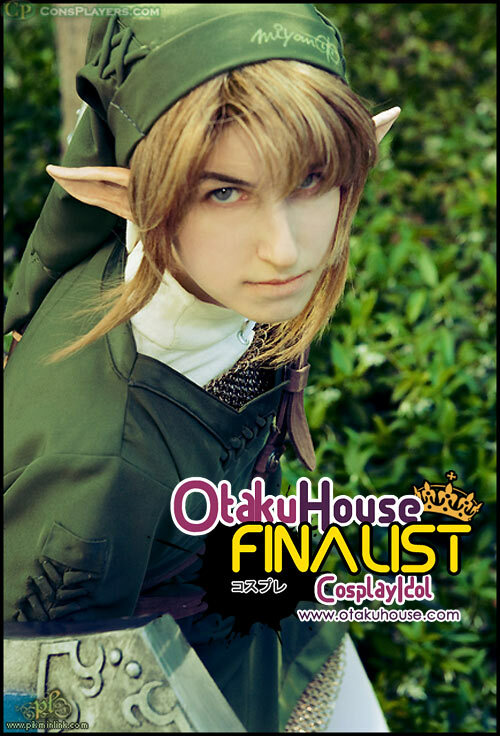 While there were Link cosplayers aplenty in the Otaku House Cosplay Idol Qualifiers, North American Finalist Pikminlink is one of the only that chose to take on the challenge of doing an armored rendition of Link. It earned her a spot in the Finals! Link is my favorite and will always be. When I first saw the trailer for the new GameCube game, I never blinked… ”OMG! he has chainmail! !” and he looked more alive than ever. I spent so many hours studying the artwork and screenshots to get every single detail, all the way down to the stitchmarks. So much hand work was involved. The hand embroidery on the pouches, and the details on the boots, and tunic–all over. This thing is loaded! Everything was made to match perfectly. I was really proud of this costume. Everything including the props and elf ears were handmade by me. I chose neutral colors to make it look more “natural” than using a “christmas green”. The chainmail took the longest and was completely a time consuming task, taking me 6 months to complete by hand. The wig was the hardest, I wanted to style it very similar to the character’s hair while still making it look natural. I had to make the overskirt and ribbons with hearts. The hearts were painted glittery and attached to the skirt. The petticoat was made to be floofy yet short enough to be accurate. The top was styled after Greek goddess drapery and individually cut foam feathers attached to the golden collar and shoes. All the jewelry was also made by me, along with the shoes and straps. The wings were patterned and built into a harness. 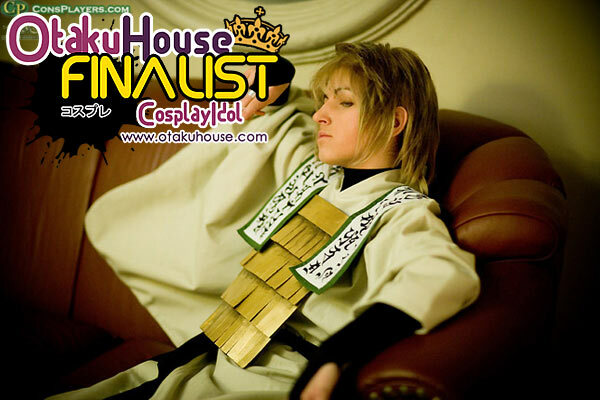 My Sanzo costume from Saiyuki Reload. The scroll was the most hardest probably, it is a real Hindu sanscript and the style looks just like in the art books, but I used a real scripture when writing it. I also had a goal of making myself proportioned like him which was a must. I also made the crown and love wearing it! The costume was entirely handmade. 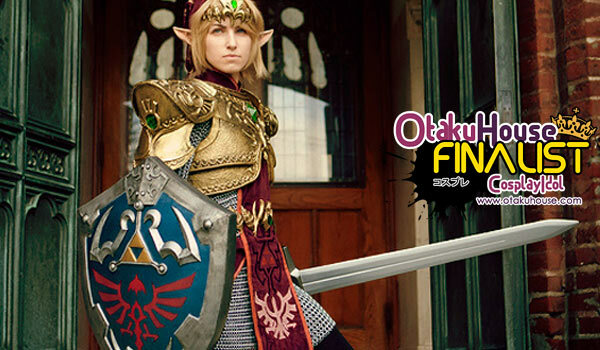 Pikminlink does classy and stylish cosplays which doesn’t fail to impress. 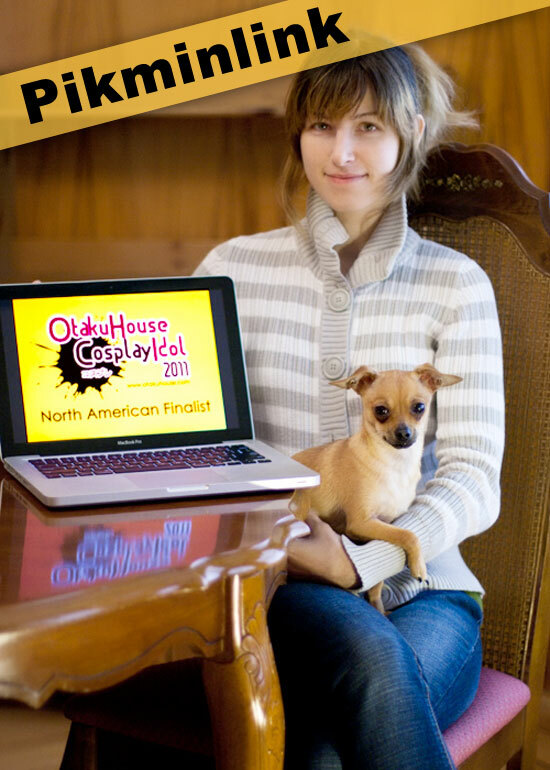 If you like Pikminlink’s works, support her at the top of the page by clicking ‘like’ or ‘Google +1’!